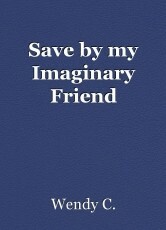 Save by my Imaginary Friend: Chapter 6, book by Wendy C.
Emily was still scared. Emily wants to go home but she was scared to make Kevin mad. Emily wishes Cassie was here. Emily tries to get a hold of Cassie with no luck. “Emily, I brought something to eat and you better eat it!” Kevin says. After Kevin left Emily ate the food he brought her. She was hoping Cassie would come to help her escape. Emily fell asleep. “Emily, wake up!” Emily heard Cassie yell. “Oh, Cassie, I am so glad to see you. Where have you been?” Emily asks. “I am sorry to have been gone for so long. I just found out that your doctor and your maid are Kevin’s accomplice,” Cassie says. “I cannot believe this! My mom and dad always trust my doctor and the maid. How can they betray us like that?” Emily cried. “Emily, you need to calm down!” Cassie yell. “I am sorry I am just so upset,” Emily says. “I know you are but you have to calm down and I will help you escape,” Cassie says. “Cassie, have you talk to Kyle?” Emily asks. “No, not yet but I am going to talk to him right now. I will be gone for a while but do not panic,” Cassie says. “Ok, I will not,” Emily say. After Cassie left Emily read her book The man in the Iron Mask. Emily hopes that Cassie can get Kyle to rescue her soon. She tries not to panic. Kevin has been gone for a while. Emily knew that one of Kevin’s personality took over him. Emily heard someone scream and she was wondering whats going on. Cassie came to see Kyle. “Kyle, I know where Emily is,” Cassie says. Cassie told Kyle where Emily was but also told him that it was a two days’ drive. “Kyle, Kevin also kidnapped some other girls. Kevin is planning on killing those girls so we have to hurry up,” Cassie says. Kyle told Jason, David, Shawn, and Jordan what Cassie says. They took off to rescue Emily and the girls. When Emily woke up she saw a tray of food for her. Emily ate the food. “Hey Emily, Kyle, and others are on their way to rescue you but it going to take them two days,” Cassie says. “I am glad to hear they are coming. I heard someone scream. Do you know who they are?” Emily asks. “Kevin kidnapped some other girls,” Cassie says. “I hope he does not hurt them,” Emily says. “I hope not either but I am sure Kyle will come in time to rescue all you,” Cassie says. Kyle, Jason, David, Shawn, and Jordan make it to the cabin that Kevin was keeping Emily and the girls. “Guys we have to be careful because Cassie warns me that Kevin’s 24 personality was a beast with supernatural strength,” Kyle says. “Do not worry Kyle we know what we up against,” Jordan says. 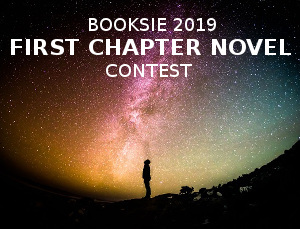 When they enter the cabin, they saw Emily reading her book. “Hey, Emily, come here. Where is Kevin?” Kyle whisper. “I do not know I have not seen him since he brought me here,” Emily said. “Hey Casey, take Emily and the girls to the car. Also, Kyle and Shawn maybe it will be better if you two take the girls home and we are going to try to find Kevin ourselves,” David says. Kyle, Shawn, Casey, Emily, and the other girls make it to the door they saw Kevin as the beast. They all were scared. The beast run toward them and Kyle try to stop him. The beast grabs Kyle by the neck and throws Kyle across the room breaking both Kyle’s ribs. The beast started to run toward Shawn when the beast felt an arm grab him and he could not move. Shawn ran toward the beast and grabbing the beast. Shawn uses his abilities to make the beast weak and the beast passes out. Jason, David, and Jordan ran toward them to see what was going and they saw the beast pass out. They call the police and the police took Kevin into custody. Lucy and Jack were happy when the police brought Emily home. The police arrest the doctor and the maid. Lucy and Jack were angry because they trust the doctor and the maid. They did not know who to trust anymore. “I am just glad Emily is home and we just have to be more careful,” Jack told Lucy. “I think we should send Emily to stay with my sister,” Lucy told Jack. “You have not spoken to your sister since high school,” Jack says. “I know that the point. Nobody knows about my sister Lisa and I do not have any pictures of her,” Lucy says. “The police have Kevin in custody,” Jack said. “Yes, they do but Kevin might escape so we cannot take that chance. We need to get Emily out of town before Kevin escape,” Lucy says.